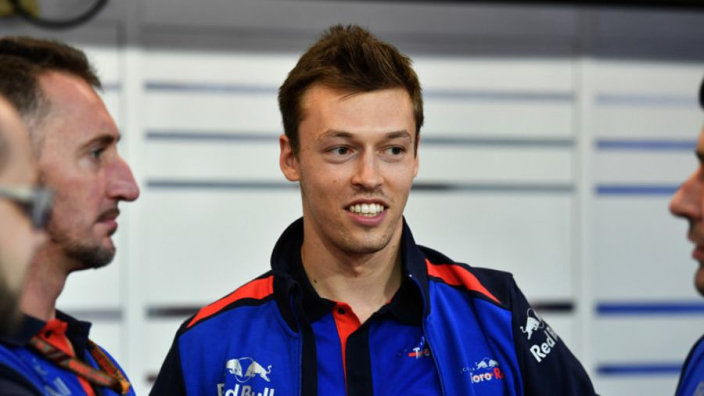 Daniil Kvyat is getting his final chance to succeed in Formula 1, having returned for a third stint with Toro Rosso in 2019, concedes the Russian's manager Nicolas Todt. Both Kvyat and 2019 teammate Alexander Albon will line up for the Red Bull junior team this year, having previously been cut from the team's programme. Kvyat debuted in F1 with Toro Rosso in 2014, stepping up to the senior team to replace four-time world champion Sebastian Vettel just a year later. He was demoted to Toro Rosso – with Max Verstappen promoted in his place – after an error-strewn start to the 2016 season which included a collision with Vettel in Russia that ended the Ferrari drivers' race and his form never recovered, leading to his dropping from Toro Rosso before the end of 2017. After spending last year working with Ferrari, and aiding Vettel, with a stint as simulator driver, he is now back for another chance on the F1 grid – that may be his last. "In Formula 1, it's always difficult to get a second chance," Todt, a leading F1 driver manager who is also involved with Charles Leclerc and Mick Schumacher, told Corriere dello Sport. #ThrowbackThursday to when @kvyatofficial and @alex_albon were battling it out on track in their karting days ???? "I don't want to indulge in dreams, but Daniil is a talented rider and a good athlete, not forgetting about cultural development. He reads Tolstoy and Dostoevsky. This is a very intelligent and self-analytical person. "He returns to Formula 1 less emotional and more mature. "It is clear that he needs to achieve results, but he also understands how important this chance is and that he will not get another one."